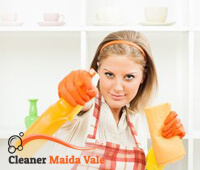 Our company is one of the leading providers of cleaning services in the Maida Vale. We have only one mission – to make your life a little bit easier. You can trust our experienced cleaners with your property. They won’t leave until every square inch is perfectly clean. We are fully insured and equipped with professional cleaning tools and eco – friendly detergents, making sure we won’t put the health of your family in danger. And most of all, we will offer you the most affordable prices you can find in the industry. We are a company that values every single one of our customers; our cleaning technicians have good reputation all over the Maida Vale area. They will treat you and your property with respect and friendly attitude. The years of experience in the industry made us well aware of the fact that every job we do is always different; this is why we individualize your cleaning service depending on your particular needs. End of tenancy cleaning – our cleaners are responsible for thousands of successfully returned deposits. They know how to make every house or flat look perfectly clean, satisfy the landlords’ requirements no matter how big is the mess. Carpet cleaning – we are using nothing but the best non – toxic detergents and quality steam and dry cleaning machines. Our carpet technicians know how to treat the different types of carpet fabric. Don’t forget that the carpet is full of dirt and germs and needs professional cleaning at least once a year. 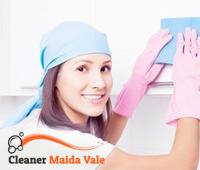 Domestic cleaning – our domestic cleaners are all trustworthy and very professional. No matter if you need weekly, fortnightly or one – off cleaning they are the one who will guarantee the best results. 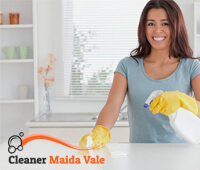 No matter how good this may sounds don’t just take our word and book for some of our cleaning services and become one of our many satisfied clients in Maida Vale.